Navida Johnson is in the Masters Landscape Architecture professional degree program and currently Forest Planning intern for the USDA's Cibola National Forest. 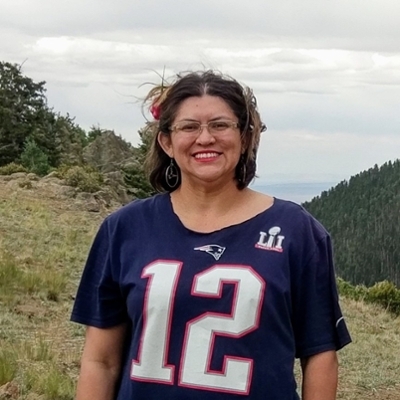 Navida Johnson graduated with her bachelor degree in Environmental Planning and Design, with a Sustainability Studies minor, from UNM and Baccalaureate certificate from UC Berkeley. Navida's diverse travel experience leads her back to UNM's School of Architecture and Planning. She is in the Masters Landscape Architecture and Construction Technology to help communities design alternative energy system solutions for residential and small scale commercial sites in sub-rural location.